Dr. Stephan Inker at his Philadelphia area dental implants practice offers extensive experience restoring your dental implant crown. If you suffer from dental anxiety in the Philadelphia area, Dr. Inker can help. We offer several options that can make your dental treatments pleasant and stress-free. Our team at Stephan A. Inker, D.D.S is trained to help you feel comfortable. You'll be able to feel relaxed while receiving the friendly, professional oral care you deserve. If you're looking for denture repair in the Philadelphia area, our team at Stephan A. Inker, D.D.S offers friendly service. Dr. Inker understands the importance of reliable dentures that fit properly. If you're looking for dentures that look great and last, look no further than Stephan A. Inker, D.D.S located in the Philadelphia, PA area. Stephan Inker, D.D.S. will assess your needs and fit you with durable, comfortable, natural-looking dentures - at a price you can afford. Philadelphia area Invisalign® dentist Stephan Inker, D.D.S. is happy to provide your new clear braces. At Stephan A. Inker, D.D.S, we want you to have the straight teeth and beautiful smile you desire. Dr. David Stall is a trusted West Chester area veneers dentist. 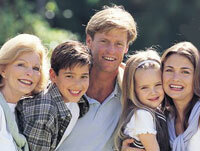 Our professional team is dedicated to providing you with quality results in a comfortable and pleasant atmosphere. If you're looking for dentures that look great and last, look no further than David Stall Dental located in the West Chester, PA area. David Stall, D.M.D. will assess your needs and fit you with durable, comfortable, natural-looking dentures - at a price you can afford. David Stall, D.M.D. is proud to be a trusted West Chester area Zoom!® teeth whitening dentist. Our patients love the short amount of time the tooth whitening treatment takes as much as they love the results. Dr. David Stall is a popular West Chester area children's dentist known for his easy going and friendly approach. Our caring team is dedicated to your child's dental health. There are a variety of payment options available to our valued patients. David Stall Dental accepts debit cards, credit cards, checks and cash, and even offers convenient monthly payment plans for those who qualify. 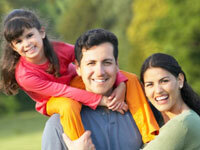 Call our West Chester area dental office today to discuss the right financial options for you. Dr. David Valen at his Warminster area dental implants practice offers extensive experience restoring your dental implant crown. Signature Dental of Bucks County is a trusted Warminster area dental implants practice providing natural-looking, comfortable tooth replacement. We make it our mission to use a gentle touch during the process. David Valen, D.M.D. is proud to be a trusted Warminster area Zoom!® teeth whitening dentist. Our patients love the short amount of time the tooth whitening treatment takes as much as they love the results. Dr. David Valen at his Warminster dentistry practice is pleased to offer you a free smile analysis if you are 18 years old or older. Our friendly and professional team will make you feel comfortable and welcome. If you're looking for dentures that look great and last, look no further than Signature Dental of Bucks County located in the Warminster, PA area. 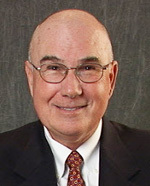 David Valen, D.M.D. will assess your needs and fit you with durable, comfortable, natural-looking dentures - at a price you can afford. Each year, many people are treated for oral cancer. Chemotherapy treatments for cancer and radiation treatment for head and neck cancer often cause oral complications. About half of chemotherapy patients experience oral complications, particularly those being treated for leukemia and those who receive bone marrow transplants. Infections of the oral cavity can be caused by the usual organisms found in the mouth or by opportunistic organisms not usually found in the mouth. These infections can lead to serious systemic infections. The risk is higher for individuals who have reduced numbers of circulating white blood cells (leukopenia). Candidiasis is the overgrowth of candida albicans, a fungal organism that normally is found in the mouth. Musositis is painful and causes problems with eating and speaking. Soft tissues are red, ulcerated, and inflamed. The oral cavity is susceptible to mucositis because of its high cell turnover. Hemorrhage or bleeding of the oral cavity can occur when clotting factors are affected and during bone marrow suppression. Xerostomia or dry mouth is associated with decreased, sticky, or thickened saliva. Dry soft tissues are more susceptible to pain, infection, and irritation. Dry mouth is associated with a high number of dental caries. Altered taste or loss of taste is common and is related to the reduced saliva volume, as well as its altered consistency. Developmental abnormalities such as altered craniofacial growth and dental/tooth deformities occur with cancer treatment during developmental periods. Trismus, fibrosis, and scarring of the chewing muscles and temporomandibular joint (TMJ, the joint that moves the lower jaw) that were in the radiation field may make opening the mouth difficult and limited. Osteoradionecrosis (soft tissue and bone necrosis) can be spontaneous or secondary to trauma, extractions, or dental prostheses. The radiated tissues have reduced blood vessels, decreased cells, and decreased oxygen that predisposes the tissues for years after the radiation therapy to this compromised state that makes oral surgical procedures risky. Therefore, prior to and post oral surgery, patients who have had head and neck radiation may require hyperbaric oxygen treatments and antibiotic therapy to prevent osteoradionecrosis. Radiation dental caries is a term used for rapid tooth demineralization and severe cavities that occur with head and neck radiation, particularly when the parotid, submandibular, submental, or submaxillary salivary glands are in the radiation field. Pain accompanies oral infection, mucositis, xerostomia, trismus, dental caries, osteoradionecrosis, candidiasis and dental caries. To reduce risk for oral cancer complications, a dentist should perform a pretreatment oral examination, as well as necessary dental treatment before initiating chemotherapy or head and neck radiation. It is important that the dentist consult with the physician or oncologist before dental treatment because people who are about to undergo treatments for cancer may be immunosuppressed or thrombocytopenic (blood clotting disorder). The goals of the dental examination and dental treatment are to eliminate existing or potential oral infection and potential for trauma. Infection, potential infection, and trauma can be associated with soft tissue lesions, decayed or broken teeth, dental implants with poor prognosis, periodontal disease, and poorly fitting full or partial dentures. The oral examination consists of hard and soft tissue examinations, periodontal assessment, and necessary radiographs. Since long-term effects of head and neck cancer radiation treatments will be harmful to the bone in the radiated area (field), patients who undergo head and neck radiation treatment should have teeth and implants with potential for future problems considered for extraction before the cancer treatment begins. The patient's ability and interest in maintaining oral health, as well as the ability to comply with an oral cancer prevention routine, should be factors that are considered as the dentist develops and discusses dental treatment recommendations with the patient.